Acupuncture is a safe, effective science for restoring a healthy balance throughout the body. According to theory, Qi (chi) is the vital life energy present in all living organisms. It’s the principal force that governs the body’s circulation, metabolism, transportation, elimination, cleansing, purging and healing. Qi circulates in the body along 14 energy pathways, called meridians. These meridians are linked to specific internal organs and systems. There are more than a thousand points along these pathways that can be stimulated to enhance the flow of Qi. In the course of a treatment, slender needles, heat, pressure, or a combination of these tools are used to stimulate specific points along the pathways. The idea is to ‘unblock’ those paths so that the body can use its core energy to relieve pain and begin to heal. Much like the flow of a river, when debris falls in the pathway, the river runs more slowly. If the riverbed is completely blocked, the flow stops. The water turns stagnant. By opening these pathways of energy, we allow the body’s vital energy to reach and replenish weakened organs, rid itself of toxins, and restore its natural balance. Acupuncture can be supplemented with other alternative treatments, such as electro-acupuncture, cupping and moxibustion, to restore health. 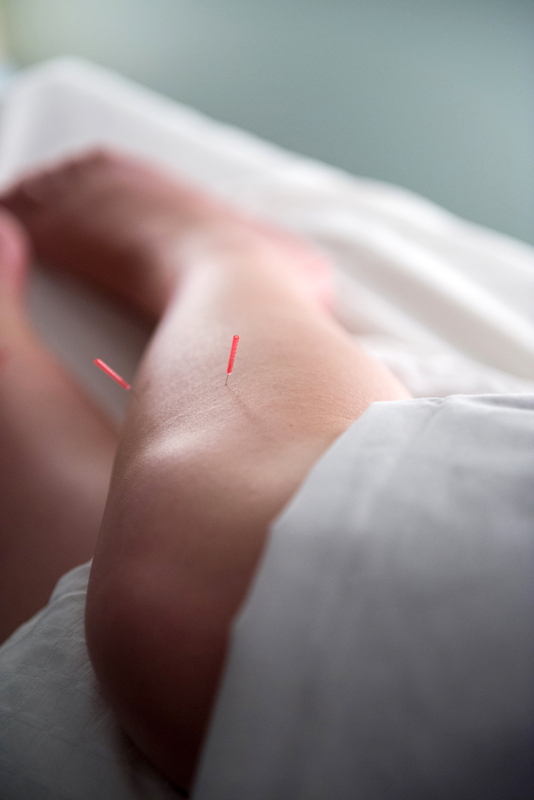 What you’ve heard is true: acupuncture is relatively painless. We use safe, sterile, disposable needles. These very fine needles are inserted under the skin to redirect energy or unblock the pathway. Sensations during treatment can vary from being hardly noticeable to a tingling or heavy feeling. While you rest in a quiet, comfortable room, listening to music, the needles do their work. You might even fall asleep. In the course of your treatment, we often supplement acupuncture with massage. Patients usually feel a profound sense of rest.